2 Blu-Ray Set with All Access + Much More. Also: Badou Jack vs. Marcus Browne, Nordine Oubaali vs. Rau'shee Warren & Jhack Tepora vs. Hugo Ruiz. 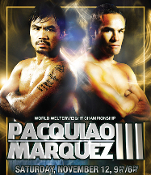 Includes Jhack Tepora vs. Edivaldo Ortega, Carlos Canizales vs. Bin Lu & Moruti Mthalane vs. Muhammad Waseem. 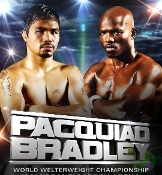 Includes Jerwin Ancajas vs. Teiru Kinoshita, Michael Conlan vs. Jarrett Owen & Shane Mosley Jr. vs. David Toussaint. 2 Blu-Ray Set with Countdown to Pacquiao vs. Vargas + Much More. Also: Nonito Donaire vs. Jessie Magdaleno, Oscar Valdez vs. Hiroshige Osawa & Zou Shiming vs. Prasitsak Papoem. 2 Blu-Ray Set with Legacy On The Line + Much More. Also: Arthur Abraham vs. Gilberto Ramirez, Oscar Valdez vs. Evgeny Gradovich & Jose Ramirez vs. Manny Perez. 2 Blu-Ray Set with 24/7 + Much More. 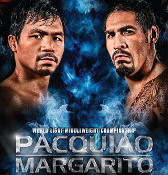 Also: Raymundo Beltran vs. Arash Usmanee, Khabib Allahkverdiev vs. Jessie Vargas & Bryan Vasquez vs Jose Felix Jr.
2 Blu-Ray Set with 24/7 + More. 2 Blu-Ray Set. Includes 24/7 & Weigh-In. 2 Blu-Ray Set with 24/7 & Face Off.